The Upcycling Fashion Store’s ethical concept has inspired catwalks worldwide with their beautiful, authentic pieces made from wasted textiles such as worn wools, cottons and linens, to name just a few. For those of you who are unfamiliar with the upcycling trend, the idea is to create high quality and unique products out of discarded everyday materials in an attempt to decrease waste. With each person in Germany generating an average of 611kg of municipal waste annually, now, more than ever, is Berlin in need of such a concept. Indeed, the city cannot be faulted for being green, as its recycling figures surpass most other European cities, but why are we not making better use of unrecyclable items? As modern consumers we are becoming more and more curious about where our clothes are coming from and the circumstances in which they are produced. 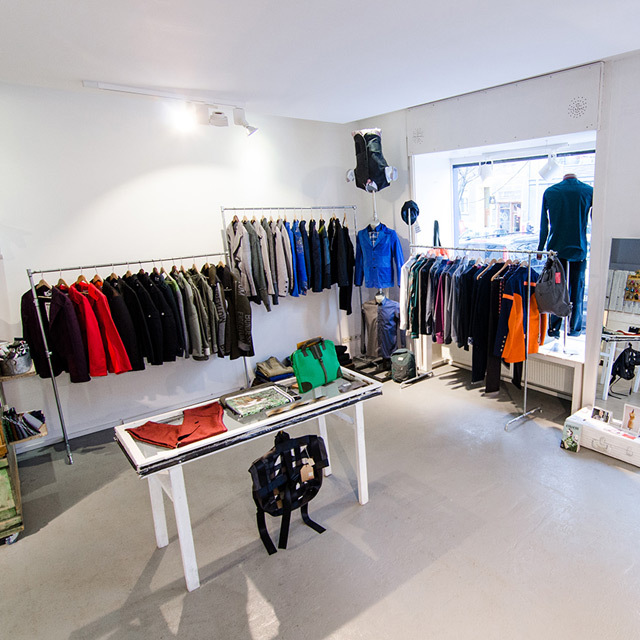 The Upcycling Fashion Store not only sets style trends, it also makes use of refuse products and produces sustainable garments. The shop’s idea is a clothing lifestyle we can all learn to adapt to at no extra cost or hassle. Upcycling uses old worn materials and creates something fresh and wearable for our wardrobes. Reclaimed fabrics and unusual materials can be found in the store, sourced from the 15% of textiles discarded worldwide each year. The Upcycling Fashion Store creates pieces so different from where the materials formerly originated, bringing those treasures from the past and making them part of our future. With eco-friendly brands like Antiform, Inheels and From Somewhere, the store has proven its international success, which explains the slightly higher price tag on certain items, but can we really put a price on sustainability? Taking the store’s idea further, we could all try a bit of DIY ecological fashion in our own homes and start being creative with our, otherwise, landfill waste. If inspiration is what you’re missing then head on down to the store to begin an upcycling project of your own. Alternatively you can attend one of the many workshops to be found around the city, which will nurture your creativity. 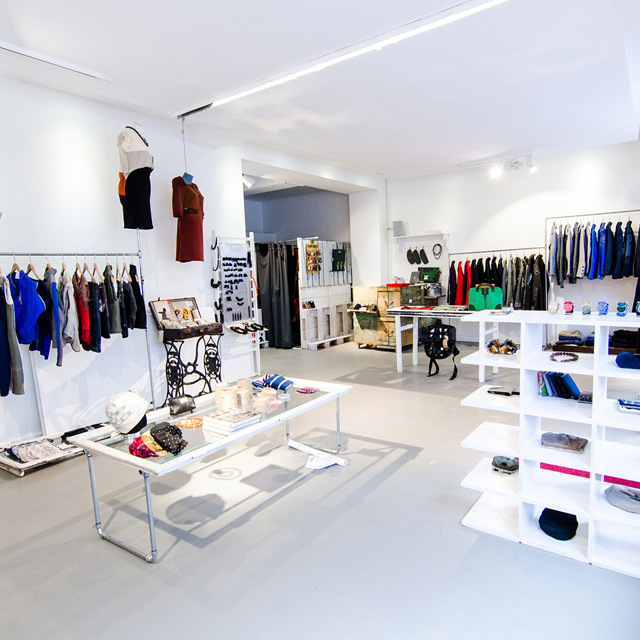 For example, on Friday 23rd May at 5pm The Upcycling Fashion Store will hold an evening of interactive crochet presented by the fashion retailers From Somewhere and, of course, The Upcycling Fashion Store itself. Visitors will have the chance to see the collaborative magic unfold in front of them and watch new and innovative pieces being made, so take your aged knitted items along and get resourceful! Alternatively you could attend the Ethical Fashion Show during Berlin’s coming fashion week in July, where visitors will be able to watch sustainable fashion labels in action. In recent years Berlin has become a fashion metropolis, gaining stylistic respect internationally. The city’s style diversity has set trends across Europe and inspired designers throughout Berlin and beyond. Ecological fashion is becoming ever more important to consumers, not only do we want stylish clothing we also want designers and retailers to utilise renewable materials at a fraction of the cost. Berliners, it is time to go get inspired, be creative with your waste and head over to Anklamer Str. to see these green garments in their full glory at The Upcycling Fashion Store. Reuse. Revamp. Re-wear. Recycle.